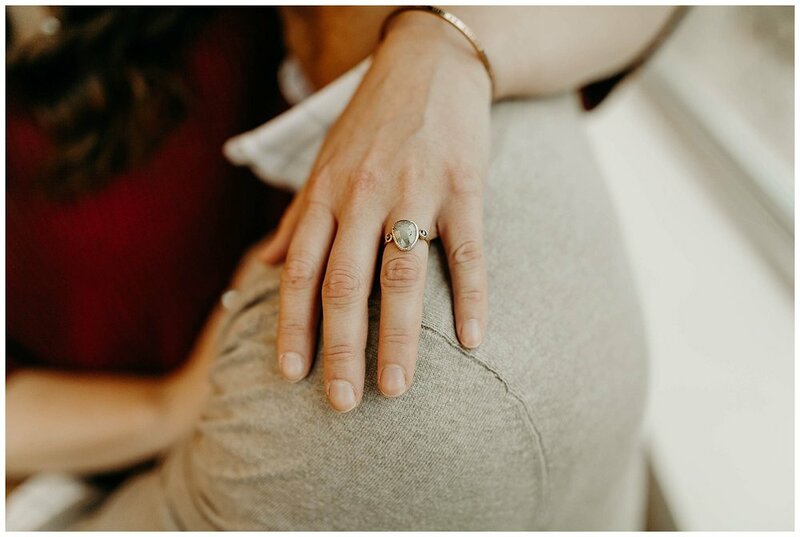 I knew from the first time I met these two that they would be more than just clients. I loved getting to hear about how they met, and their favorite things to do. 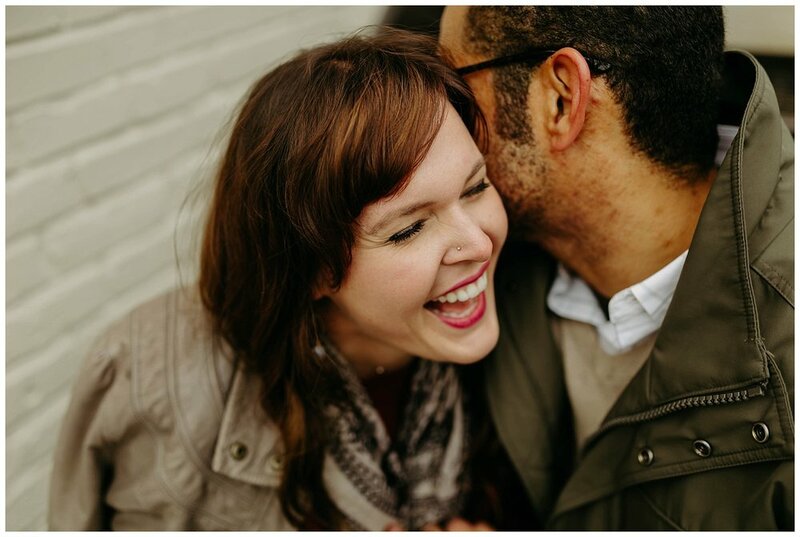 We had originally planned to do a sunrise engagement session on the roof of a parking garage (I know, so unlike me, ha!) however mother nature had her own plans and graced us with a lovely ice storm the night before. 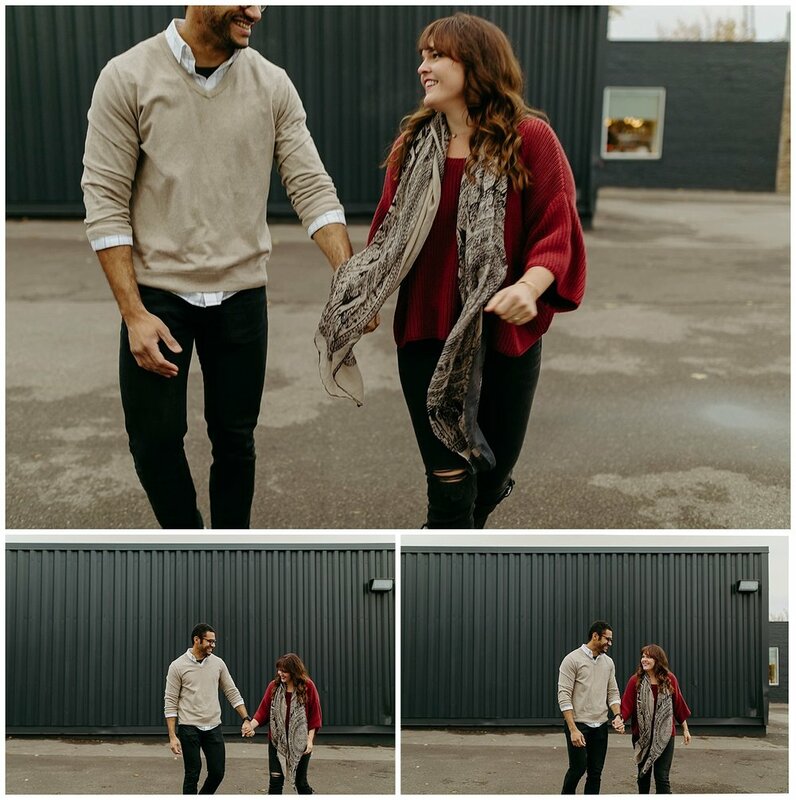 We rolled with the punches and decided to go get some warm coffee at The Lynhall to start our session followed by a few blocks of back alley exploration. I love that walking barely two city blocks gives us bricks, wood, grafitti, and plenty of laughs, of course. ALSO, today is their wedding!! Yasssss! Can't wait to share. 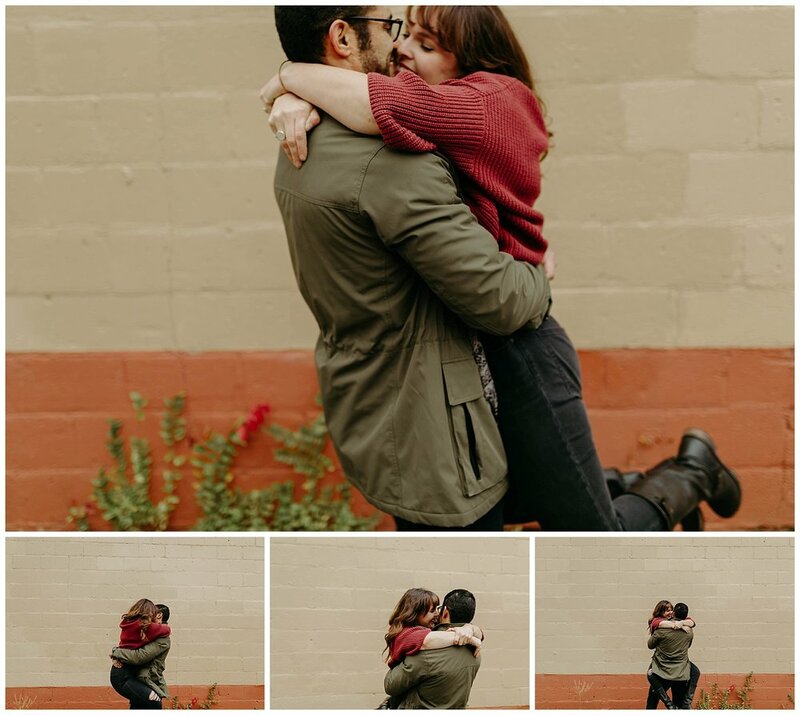 In the mean time, enjoy their engagement session!